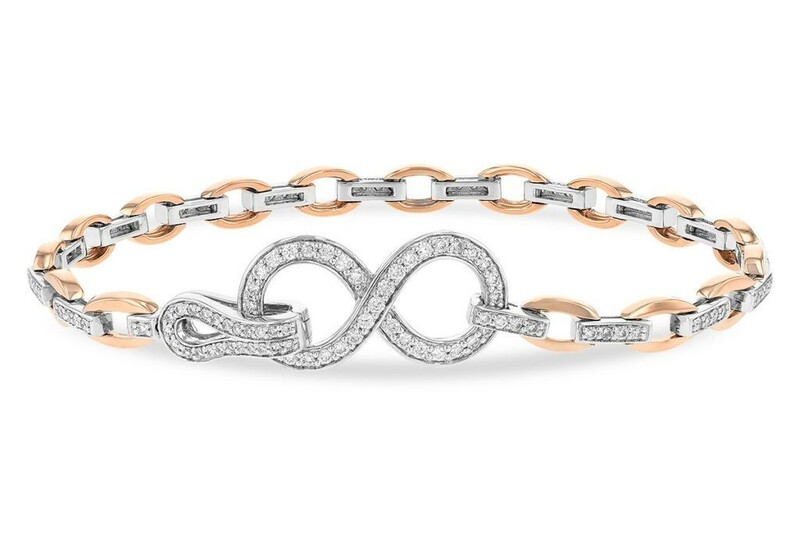 A full carat of diamonds is beautifully set in white gold with links of rose gold. An exquisite expression of your affection! 1.00 CT TW.